We just passed the longest night of the year and the nights will be getting shorter from here on out but the winter is still a dark and terrible place. If you’re looking for a way to brighten up the (not as) long nights, check out the LED LEGO Lamp, the smiling face to get you through the night. 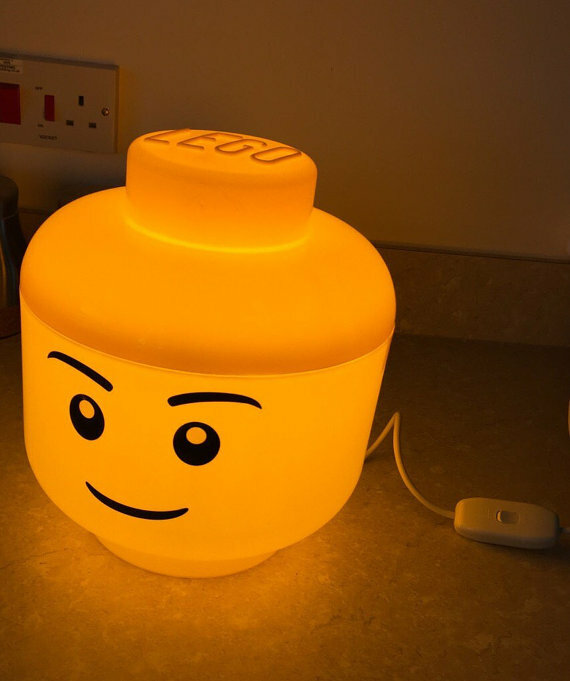 This lamp is fashioned after the most common of LEGO faces, the smiling yellow guy. You know, basically Emmet. These lamps were once the large storage containers made for holding the blocks but have found a fun new life. Each lamp has a 9W LED bulb that will get you about 14K hours of light. The lamp gives off a soft yellow glow, it’s not super bright so it makes the perfect brighter night light or low light for a calming setting for children for relaxation before bed. Or just to have in your living room because LEGOs are an all ages toy. The LED LEGO Lamp comes in a variety of types but the boy model is $68.55.